Retirement planning strategies in plain English. 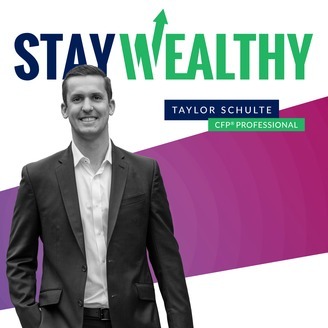 The Stay Wealthy Podcast will teach you how to reduce taxes, invest smarter, and make work optional in retirement. 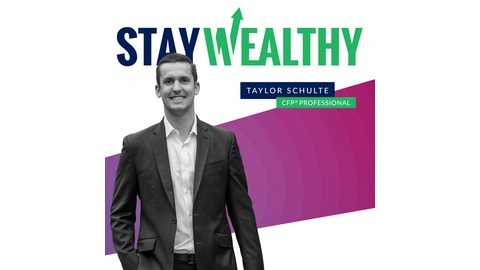 Award-winning financial expert, Taylor Schulte, tackles topics such as IRA's, 401(k)'s, retirement income strategies, insurance, pensions, social security and more. Every episode will give you the tools you need to preserve your hard-earned money and "stay wealthy" in retirement. Learn more and join the community at www.youstaywealthy.com. Buying a home comes with huge financial implications, and many of them come into play well before you make an offer and close on your mortgage. You could spend months, years, or even decades saving up the down payment for your home — and that’s especially true if you plan to save 20% or more or if you live in an expensive area. To make the most of your situation, you’ll need to focus on two main imperatives — figuring out where to save your down payment funds, and deciding on a mortgage that fits in with your budget and your goals. Many people assume picking a mortgage is a piece of cake, but that couldn’t be further from the truth. While it’s easy to think you’ll just get a 30-year, fixed-rate mortgage because that’s what all your friends and colleagues have done, a home purchase provides the perfect opportunity to think differently about what you really want. In this podcast, we’ll go over my thoughts on where you should save your down payment during any timeline of less than ten years. But we’ll also talk about the mortgages available today — and how the obvious mortgage choice isn’t always the best. Ready to start saving for your dream home? Listen to today’s podcast episode to learn how. DISCLAIMER: This podcast is for informational and entertainment purposes only and should not be relied upon as a basis for investment decisions. This podcast is not engaged in rendering legal, financial, or other professional services.